The problem I'm facing is that pages also can contain media. Users can add existing media from a list, but also add new media right there from the add-page-form. The form is quite long to put in a dialog. This is also inconsistent with other forms. I'm not sure if having a multi-page-form is good UX. Especially since the user will return to page one upon completing the add-media-form-page. This will increase the form length significantly. It's also problematic since it's quite a long form for an optional step. allow drag-and-drop/click-to-upload media without the add-media-form. This way users can upload media without the required fields which will just make a mess. What is the best way to integrate multiple forms as optional steps in one form? You could keep tasks separate and name them in a way that reflects the available actions. 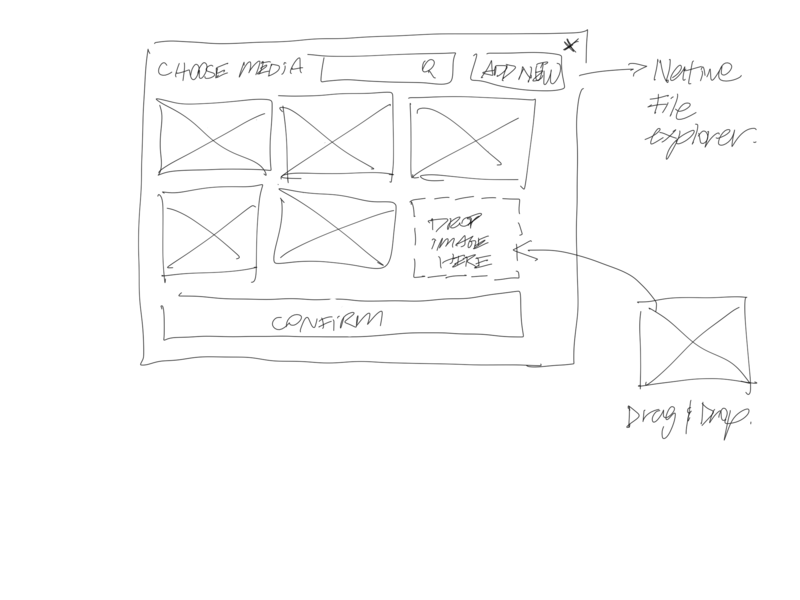 This looks longer but may simplify the use of CMS. 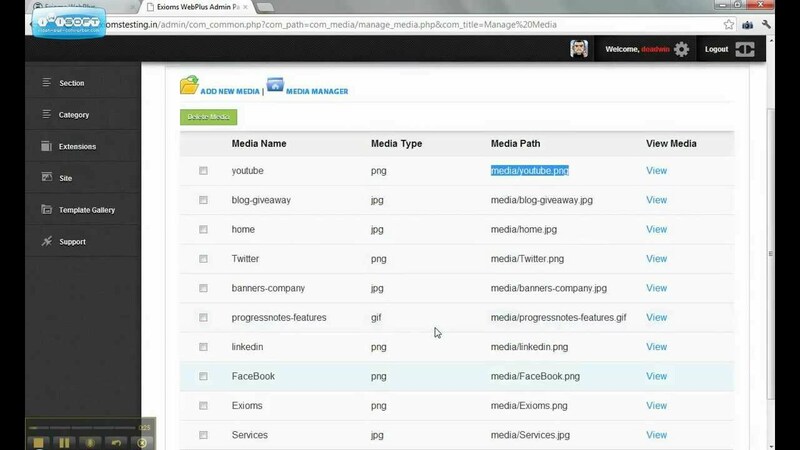 By selecting Media management or Media manager we go to the section/page were we upload assets, organize them into virtual libraries/lists and edit their data (title, etc). In the Add/edit a page section we can Add a media from the library/list of existing media to a new page. By selecting Add a media here, the list of existing media is available to the user. (He/she can't upload, edit, organize media here, just add a media). Optional: An upload new (media) next to the list will take us to Media managment. Pages will have an add media button. Open a dialog box to choose from the Media archive. You don't have to provide them full media table with attributes, etc. Just thumbnails of the media will do. Enough for Admin to identify the image and pick it. Provide search, and upload / drag and drop option to add new media directly in the dialog box. If admin cannot find their media, they can upload directly from dialog without having to cut their workflow. Not the answer you're looking for? Browse other questions tagged forms information-architecture workflow or ask your own question. Best way to include multiple upload fields in crowded form? Multiple Page Forms: Validate on every page or only on the last page? How can I display multiple forms and lot of important form information on an Android application? Why are two forms on one page bad?